We all love watching movies in theatres now don’t we? And why not, it’s a different experience altogether. Big, bold, and brilliant. The screen is huge and everything appears larger than life and in finest of details. That is why we love going to the theatres. But when it comes to home watching other things (TV shows etc.) it’s not the same story as in a theatre. Because the TV cannot compete with the screen size of a theatre. Guess what? All of this is about to change. 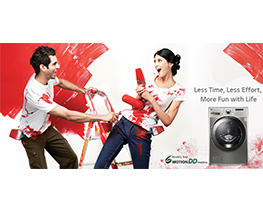 Imagine watching your favourite shows, sports matches and what not on real big screen now. Imagine watching everything in a size that’s lifelike. 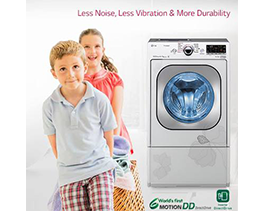 Imagine an overwhelming cinematic experience everytime you watch television. 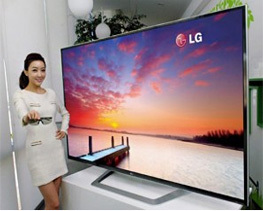 And this imagination is easily possible with the latest technological marvel from LG: Ultra High Definition 98 TV! 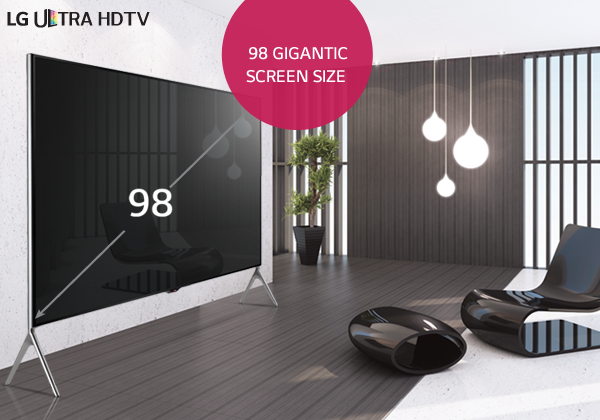 With a gigantic 98 screen size you are bound to get a true cinematic experience. And it’s not just the size, the display is 4K i.e. four times the HD quality. 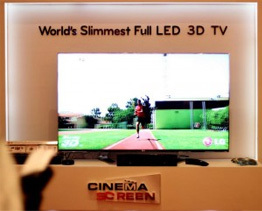 And with IPS Display Technology you’ll be getting lifelike colours that are richer and better compared to any other TV. Besides the gigantic screen size the 98 UHD TV boasts of a plethora of features on which any entertainment lover would easily fall in love. Just for an example, for a screen size so big you need a sound that’s equally so. That is why the 98 UHD boasts of SOUND DESIGNED BY HARMAN/KARDON in the form of 5.2 channel 120W Sliding Speakers. And the webOS technology makes the TV ‘Super Smart’. A feature that expands the horizons of browsing internet on TV and makes it very simple at the same time. 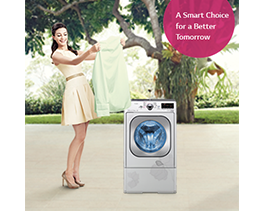 We can keep on going about the brilliant features of the latest gem from LG, but we’d rather not. Because you to need to experience it to believe it! 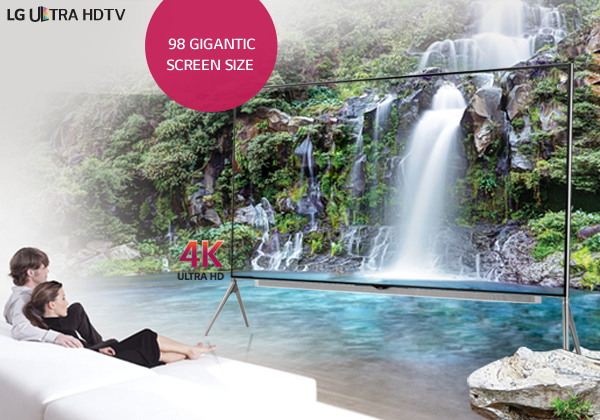 So rush to your nearest LG store today and experience the big picture on LG 98 Gigantic UHD TV!